One solution to make the Eastern Finland – Eastern Estonia corridor cargo flow more efficient is to establish a transport connection between ports of Loviisa (FI) and Kunda (EE). This connection is practically in direct north-south axis (54 seamiles). Moreover, there is no Russian territorial water in between. 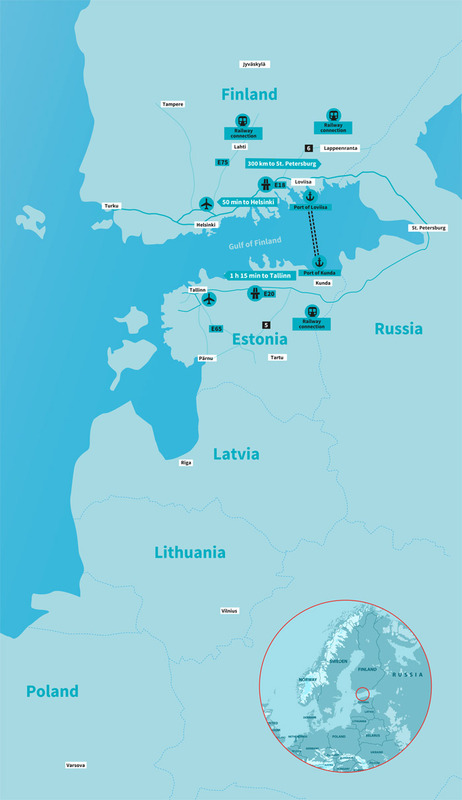 The REFEC-project aims at reinforcing the establishment of Eastern Finland-Eastern Estonia transport corridor. The project outputs are focused mainly on concrete measures to support Loviisa-Kunda transport connection. This includes business model(s) with potential shipping companies, port operative and investment plans, roadmap to comply the needed licences and regulatory requirements, best practise transferred from similar connections in the BSR, ferry scheduling and route option plans, marketing plan and events to promote the connection. Furthermore the cargo potential of the corridor is analysed and the impact of the developed corridor is verified (reduced travel time, volume using the corridor and Loviisa-Kunda connection). In addition to the faster and more fluent transports between eastern parts of Finland and Estonia there are other beneficiaries of the activated transport corridor. The traffic to/from Eastern Finland that uses Via Baltica would benefit from more direct connections as well. Another major advantage is relieving the pressure of growing heavy traffic (traffic jams, emissions, noise, dust) in the city centres of Tallinn and Helsinki. The decreased mileage in transports means also less CO2 emissions.